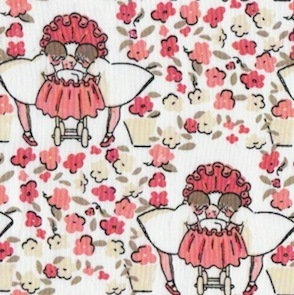 In Maman, we celebrate Cloud9 Fabrics' co-owner, Michelle Engel Bencsko's beloved grandmother, Anne-Marie Murphy, whose many talents include illustrating a charming and extensive array of images depicting infants, children, religious themes and fairy tales. 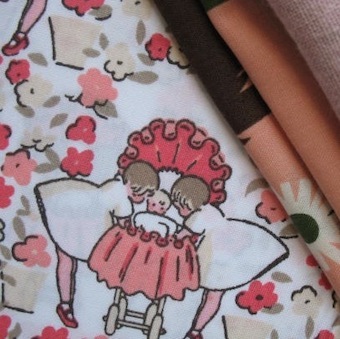 The Petit Filles print is cute and simple at the same time - the illustration and colors used are beautiful. Scale wise the height of the pram is 5.5 cm. 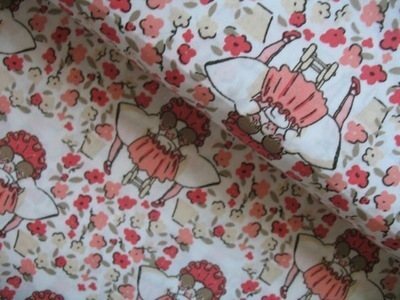 This print is from the premium collection from Cloud 9.